After the defeat of Republican health care reform, Bernie Sanders of Vermont announced he was sending a single-payer bill to the floor. A majority of Americans support federally-funded health care. With the public behind it, the President apparently open to cooperation, and the Republican plans in disarray, now would seem to be the perfect time to rally for a public option, to give health care to all American citizens. 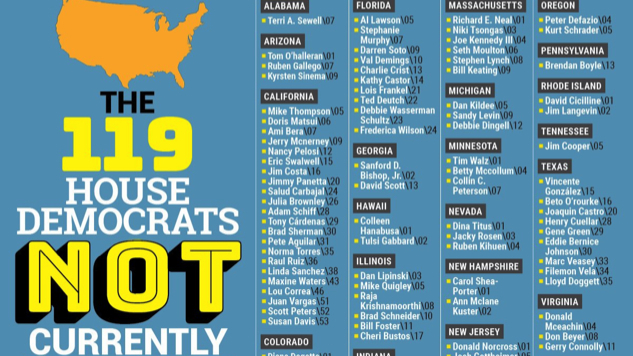 The question, as always, is: Where are the Democrats? Enter the Justice Democrats, a political group founded by former leadership from the Sanders campaign, by Cenk Uygur (Young Turks), and Kyle Kulinski (Secular Talk). Their goal is to rebuild the Democratic Party from scratch and remove corporate-backed members of Congress. Currently, they have a second purpose: keeping track of all the Democrats who are (and aren’t) supporting single-payer. 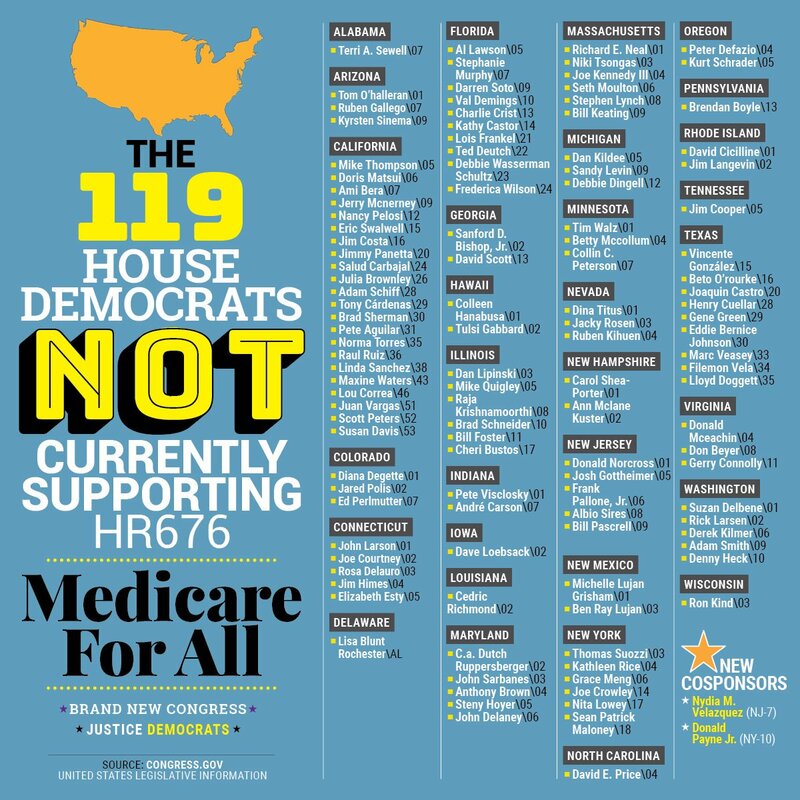 The chart below—their creation—shows every Congressperson who isn’t on board with the Sanders plan.